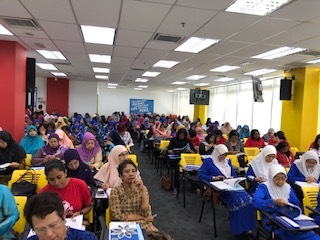 The National Council of Women’s Organisations Malaysia (NCWO), organised their bi-yearly Biennial Delegates Conference on 26 January 2019 at BAC’s PJ Campus. The much-anticipated conference was attended by approximately 230 members. 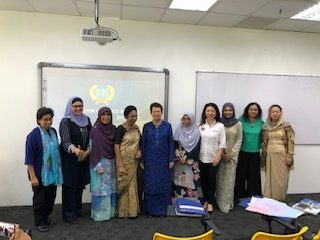 Professor Emerita Tan Sri Dato’ Seri Dr Sharifah Hapsah Syed Hassan Shahabudin, the current NCWO President delivered the opening speech and mentioned some of the key highlights during her two-year tenure with NCWO from 2016-2018. These key highlights were also featured in the Report of Activities & Achievements 2016-2018. Subsequently, an in-house NCWO election was held and all the nominated Office Bearers for the year 2019-2021 were called upon to give a brief introduction to fellow NCWO members before the voting session. The Make It Right Movement (MIRM) supported the event by providing the venue for the conference. NCWO is a non-governmental organisation (NGO) that aims to unite other women’s organisations and co-operate with national, regional and international organisations to advocate and monitor full participation, inclusion and representation of women in decision-making as well as ensuring that women’s rights are respected, protected and fulfilled.